Butte High's Brittney Tierney is congratulated after making a basket against Butte Central on Feb. 7. Butte Central's Bella Sorini takes the ball to the hoop on Thursday evening during the cross town rivalry game at the Butte Civic Center. BUTTE — For a three minute stretch in the second quarter of the girls Crosstown game between Butte and Butte Central, the Bulldogs couldn’t miss from the 3-point line. And they were taking them from Uptown, too. The Butte Civic Center has two lines marking where three-point land begins — one for high school and the other marking college distance. Butte seemed content taking its triples from the latter. First up was Ally Cleverly, then Justise Birkenbuel followed suit and finally Aspen Lovshin ended the 9-1 run with one of her own. The Maroons were able to fight back, but the eventual 17-point deficit proved to be too much and the Bulldogs took the 57th girls Crosstown matchup 57-40. Butte finished with four triples on the day, with all of them coming in the first half. Aspen Lovshin was also hitting from deep, hitting half the Bulldogs’ 3-pointers and scored 14 points. It’s not the first hot-shooting stretch from downtown for the Bulldogs this year, but against the Maroons it meant all the more. The Purple and White have now won two-straight in the series after falling to Central three years in a row. “It’s a rivalry game, it’s always intense,” Cleverly said. “You never know how it’s going to be. They’re a young team, but they really challenged us and they’re just going to get better as the season goes on. The Maroons trailed by 12 points at halftime and traded shots with the Bulldogs for most of the third quarter. Central had some chances to pull the game closer, but could not get the momentum-shifting basket to go down. Characterized by defense this season, the Maroons struggled at times to contain the Bulldogs’ plethora of talented shooters. The second half was better defensively than the first for Central, but Butte was able to get inside a bit more and hit just enough shots to keep the Maroons at bay. Standout senior guard Tricia Joyce had eight points for Central and all were hard fought. The Bulldogs were able to keep in her in check for the most part, though she did get two triples to go down. Maddie Kump led the way for Central with nine points and senior Bella Sorini added another eight. 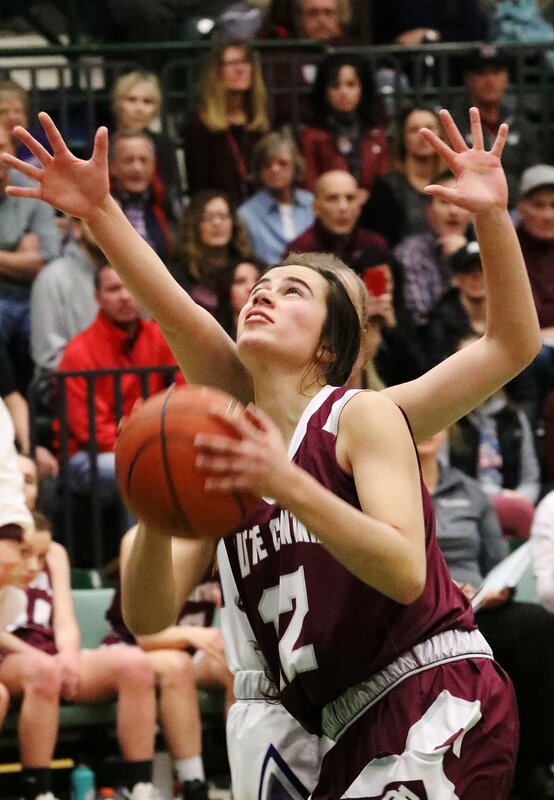 “They’re a good basketball team and they’re where they're at right now because they play well and shoot the ball well,” Butte Central head coach Meg Murphy said. “There’s people that probably believe we should have lost by 40 and we hung with them. There were points where we were still in the game and if we would have got a shot to fall here or there, you know. The win moves Butte High to 11-4 in what’s been a truly terrific season. Thursday night’s game is the Bulldogs only of this week, though next week they’ll be on the road for three straight. They finish the regular season at home on Feb. 22 against Billings Senior. Central (7-10, 6-3 Southwest A) plays on Saturday at Corvallis in a game that has conference championship implications. BUTTE — Jared and Matt Simkins are about as close of a pair of brothers and twins as you’ll find.